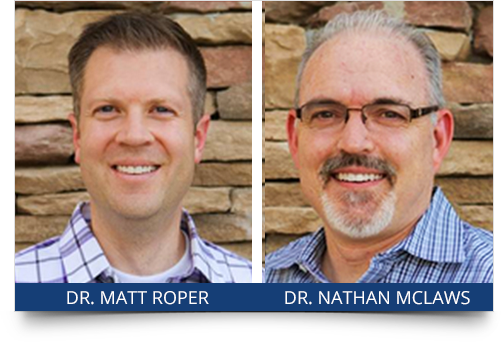 When trying to decide what type of implant to choose, there are many things to consider. Mini dental implants are an affordable option that can be placed in one appointment. The process is simpler and they are noticeably smaller than standard dental implants. Since the diameter is much smaller, about one-third the size, the surgery is much less invasive. All of these factors contribute to making them approximately half the cost. As you can see in the diagram to the right, mini implants are significantly smaller in size. 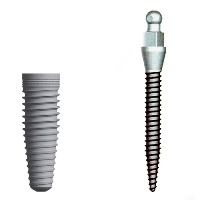 The standard implant is pictured on the left and the mini implant is shown on the right. If you deal with poorly fitted dentures that move around when you eat, sometimes slip, or even cause discomfort, mini dental implants are an affordable solution. Sometimes a patient may have bone loss that occurs from having no teeth and has been informed that regular implants may not work. This is another case where mini implants are a feasible option since they prevent bone loss. Many patients like the fact that they can be placed in one hour and there is no surgery required. One of the setbacks of the more affordable dental implants is their lack of strength. Since they are much smaller in size, they do not function well with some dental work, for example in supporting a crown or dental bridge. That said, they have proven to successfully stabilize a denture. Give us a call today to learn more about your options.